I remember the year Father Thomas Keating came to speak at Naropa University. I, quite by accident, happened to meet him as he was coming down a long dark hallway. Here was this tall, commanding figure dressed in the white robes of a Trappist monk. Yet what really touched me was a deeper presence that quite honestly left me dumbstruck. The encounter was brief but the awe remains. Having heard the news of his passing, this poem stirred inside my heart. Because you live in our hearts forever. When I met you in the hall. Encouraged us to dwell - in silence. In that moment, my heart sang. Of my own conditioned mind. I realized we can ask these questions. Shining brightly in your eyes so clear. For all that you taught us. Thank you as well for all that you gave. Kimberly Holman is a contemplative writer and mystic with an M.A. in Religious Studies from Naropa University. She is a student of A Course in Miracles, as well as a Certified Mindfulness Meditation Instructor. She is passionate about helping people recognize the already perfected state of being within themselves. The answer to pressure and stress is not the death of the self from doing either too much or too little. It is life lived between the poles of too much and too little. It is life flavored by many things, not surfeited in any single thing that consumes our energies and dampens our appetite for the rest of life. The spirituality of balance has five attributes: equilibrium, variety, self-awareness, re-creation, and an appreciation of the value of imperfection. Equilibrium is the ability to know when to quit. When we find ourselves immersed in any one part of life—family, prayer, rest, education, play—we are no longer running our lives; our lives are running us. Something we need, something that is air and blood to our very beings, is being denied. Something inside of us is drying up and will surely come back to haunt us in years to come. Variety is the gift of learning to savor life at every level. We go to the children’s baseball games because we love doing it, not because we feel we must do it. We take family time and play time and reading time and rest time because each of them makes us a fuller human being. Then we have new energy to take to our work rather than feeling our work drain energy out of the rest of our lives. Self-awareness is the monitor of the heart that tells us when we’re too tired too often to be able to really enjoy life, to be our best selves for everyone around us. When the fatigue settles into the center of our souls, when we get up as tired as we were when we went to bed, when we only half-listen, half-read, half-smile, and half-care about anything anymore, we are inclining dangerously to one side. It is time to tilt heavily to the other. Re-creation is the virtue that sends us off to cleanse the palate of our souls from the noxious residues of yesterday. It is that one single activity—the piano or the bowling team, the fishing boat or the woods, the workshop or the computer class—that makes us forget yesterday’s concerns and makes us young of soul again. Imperfection is the gift that saves us from destroying ourselves in the name of some apotheosis of excellence that exists only in our own mind. It is the delusion of perfection that drives us to live so imperfectly. There are some things in life worth doing that are worth doing poorly. Life without stress can be a very stagnant life. Stress is good or bad, holy or unholy, depending on how we cope with it, how we define it, how we allow it into our lives. But in the end, it has something to do with whether we turn our life into a living flame or burn it quickly down to burnt ash. It was the swinging sixties and I was in my twenties when I was concretely confronted with a choice: to return or not to return. A friendship that at first seemed promising and meaningful gradually pulled me farther and farther away from home - from parents and siblings, and especially that warm and generous fraternal love of my one and only brother. In the short span of only six months, this obsession finally won and compelled me to leave home, forsaking everyone and all that I had held dear. As sometimes happens in such relationships and situations, it didn't take long for my life to spiral downwards, squandering what little savings I had to keep that relationship and obsession alive. Worst of all and in a real spiritual sense, I couldn’t pray anymore; I stopped attending Mass and lost interest in my work. Fully realizing how self-destructive my thoughts and actions were then, I also knew from deep within my being that there was still that warm and loving place called home not many miles away - but the barriers of pride and ego wouldn’t let me return. Then on a wet and depressing evening just one day before Christmas Eve, there was a timid knock on the door of the one-bedroom squalid little flat which was home then. And because of the Season and the many happy memories of Seasons past which had been on my mind that very day, I went to the door with feelings of both trepidation and nostalgia. And there outside stood my baby brother and baptism godchild, Viliame, all of 18 years old of him – eyes sad and worried, with trembling lips and trying very hard to be a man. Wordlessly, tearfully, and mindless of the rain beating down on us, we fell into each other’s arms. For the first five minutes - that was enough for us. Then I drew him inside. We started to laugh and cry together and words came tumbling out non-stop: from him, full of concern for my welfare and well-being and how much he missed my presence and support in his life and from me, the multitude of questions about our parents and my sisters. Yes, I have three sisters, but it was my brother who was missing me the most, and came looking to take me back home. From that day in December 1964 till his passing in May 2008, Viliame and I were as close as only a brother and sister are close - in love, in spirit, and in sharing all our worldly goods. And although the demands of work, marriages, and family life geographically separated us for years on end, his fraternal love for me remained unwavering, enduring and endearing as my love and support were for him in his lifetime, and now in his memory. Moving on, all of the above was a lifetime ago, blessed with more happiness than regrets - yes, but another lifetime nevertheless. So it wasn’t until I came to the Philippines where I arrived in November 2005 that my spiritual journey took on new life with a deeper meaning -- revitalized and enhanced with that “Taste of Silence” practiced and “tasted” daily in Centering Prayer. What a Gift! My gratitude knows no bounds and my prayers of thanksgiving to the Lord for bringing me here are constant. For it is during those silent weekly prayer meetings at the Parish with my sisters and brothers in Centering Prayer, at our annual Retreats, and during my own private moments in prayer, meditation and reflections, that I have learnt about, grasped at and appreciated, humility, acceptance, and unconditional forgiveness - all of which were absent from that previous and sometimes, troubled life. The trip had been a rather long one and when the guide announced, “Here we are” it was an automatic response to go down and look around. The “here” that the guide had announced was Stonehenge, a circle made up of reddish, roughly hewn stones that seemed to sprout from the ground. Standing now as they had been first erected, centuries ago. And the whole place was wrapped in silence . Not the silence as absence of sound, but rather the silence that came from a gentle breeze going through the long stemmed grass field. Even the people were hushed. One felt that creation was celebrating the presence of a creator but a creator far from the understanding of the human mind, a being so powerful and transcendent that it could only be worshipped in awe. I was comfortable with the idea of an indifferent God but Stonehenge brought up the question – ‘Who do you say that I am?” And fortunately Centering Prayer came into my life. In one of Grace’s Padilla’s talks, she brought up the idea of the Trinitarian God, in relationship with one another constantly giving and receiving love. And in the middle of this exchange of love, surrounded and bombarded by this eternal love exchange is, us. And in the silence of Centering Prayer this idea became a reality. God is now a personal God, a transcendent, powerful God but who reveals Himself as a loving person, interested in the minute details of my daily life. This is the good news – Emmanuel, God present in creation, in people and in me, gathering everything to Himself for the fulfillment of God’s salvific plan of taking care of nature and the environment. Thinking only positive and loving thoughts envelope my immediate surroundings and thus I am a much happier person. In Centering Prayer, I encounter God in silence, and every moment is significant...In Stonehedge, in a mobile, and day to day happenings. I am consoled. I feel His presence. Author is a member of Contemplative Outreach Philippines. She is a member of the San Antonio support group. For those who want to experience the Prayer of Silence there are formation workshops offered. Please call the Contemplative Outreach Philippines office (Herbie) at 0916-4697766 Or Betty Florendo 0917-877-2402. When I was in school many moons ago, I was told that before going to bed at night, I was to pray an act of contrition because I might die in my sleep. I was so frightened that it could happen, that I prayed to God not to send me to hell because of some misdemeanor I may have done that day. In the late 80s I was introduced to Centering Prayer. I encountered and got to know this living God, who dwells within me, loves me, and wants to have a relationship with me. I discovered that my God was not a policeman just waiting for me to make one mistake, so He could punish me forever. In the stillness I would sit at His feet, just Him and me, together, without words, without thoughts, twice a day. I soon realized that just by being there, not doing, not asking, we became more intimate as friends. Slowly I could hear Him speaking, without words too. Deep in my heart I knew what I had to do and not do. All that was needed was to do my prayer on a daily basis until it became a habit. Things that worried me before, no longer did because I knew that my "friend" would always look after me and protect me from whatever could harm me. For sixteen years I would attend four to five retreats a year, not only attending but taking care of all the physical arrangements because I wanted to listen again and again to Lita Salinas repeating Father Thomas Keating's Spiritual Journey in a language I could relate to. So simple yet so meaningful to my daily life. Slowly whatever wounds I carried deep in my heart began to heal. Centering Prayer also taught me that unconditional love means that loving is a choice one makes. In the silence I can be more attentive to God's presence and action in my life. I see God in everything. In my little garden where birds love to eat the bird seeds I spread once a day. I think of the gospel where it says " look at the birds in the sky. They do not sow nor reap, they gather nothing into barns, yet your Heavenly Father feeds them. Are you not more important than they?" God put into my heart to buy bird seeds and spread it out for them. I see the rain and thank God for watering my garden. I have three atis trees. One I planted, but the other two just grew in another area of my garden. The birds planted them. See? They too, know how to thank me. Centering Prayer has made me more aware of taking care of nature and the environment. Thinking only positive and loving thoughts envelope my immediate surroundings and thus I am a much happier person. What are the ingredients that are part of the mystery of true compassion and what is the key that unlocks its power? Let us picture compassion as a stool with three legs. The first leg of the stool is known as the gift of tears, or what might be called the gift of grieving. This is the ability to allow the grace of God to melt our stony hearts and make them flesh again — fully human in their response. Over time, it is very easy to become stone-hearted, numb and/or indifferent to violence, suffering, injustice and terror, unmoved by what we see and hear. We become untouchable, detached. Unfortunately, like a slap in the face, it takes more and more to get our attention and move us. Perhaps this is one of the meanings of Jesus' invitation to turn the other cheek. By turning the other cheek we get another point of view that helps us see the larger picture. So the first leg of compassion is the ability to feel, shed tears and grieve for the pain of others and the suffering in this world. The second leg of the stool is forgiveness. Forgiveness is never a matter of good judgment; it is a matter of our own well being. Nothing destroys the spirit as quickly as an unforgiving mind and heart. For many of us, on top of our stony hearts, our minds replay the same drama over and over again, reliving the hurt and repeating the same opinion about a person or situation. Give yourself freedom. Give the one you are holding in unforgiveness freedom. Stop playing the interior dialogue over and over again. Become willing to let it go. Pray the Prayer of Forgiveness and allow the Divine Therapist’s healing to take place. 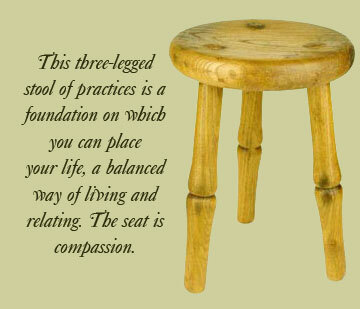 The third leg of the stool is generosity. As much as is divinely possible, never stop feeling, forgiving and caring. Let it not be an isolated event but a way of life. Don’t count the cost but relish the freedom that it gives. The parable of the prodigal son illustrates this way of being. We all go through the phase of the younger son when it is all about self-centeredness. We all go through the phase of the elder son when it is all about being correct and self-righteous. We are all invited to become the Father who is all about self–giving. When we give of ourselves, we gain and increase the true self, that which is being filled with the presence of God. What was once lost has been found in openness and generosity. Self-love says, “I have enough of my own troubles. I do not have the energy to be concerned about the pain and problems of the other.” Slowly the bubble of self-interest closes upon us and we begin to suffocate with our own stale air, barely being able to breathe. No respiration, no inspiration. The good news is that the gift of compassion can weaken and break through this shell. The Holy Spirit punctures the shell and we breathe in the reality of life – the awareness that there is no real separation from one another, just as there is no separation from God. This three-legged stool of practices is a foundation on which you can place your life, a balanced way of living and relating. The seat is compassion. There is another practice assumed here that is the key to a life of compassion. Inherent in grieving, inherent in forgiveness and inherent in generosity is letting go of judgment. We may observe and be fully aware of how filled we are with judgments, but we must not engage them. Guideline three in Centering Prayer can apply here: “When engaged with your thoughts, return ever-so gently to the sacred word.” When an observance of a person or event becomes judging experience and then becomes a judgment, that is when we need to pray, perhaps invoking an active prayer phrase to assist our letting go, such as “Be compassionate as your Father is compassionate.” So in summary, remember: shed some tears, grant forgiveness for your own sake and do it in a generous way – don’t count the cost. Instead count the blessings of setting yourself, the other person and the world free. Let go of judgment! Prayer cannot just be about coming to God with needs and demands. There has to be a constant, deepening relationship for it to be a true prayer. The commitment to prayer and the integrity of that relationship evolve in silence, where there are no words, no thoughts, no emotions. It is never about words. One prayer word is sufficient to initiate the interaction. I whisper “Abba” and I know in my heart He hears. There is a strong faith in my heart that God knows my needs before I even come to pray. So I need not speak. I sit quietly and peacefully. I am committed to this prayer. There is an integrity to this commitment both from me as well as God. 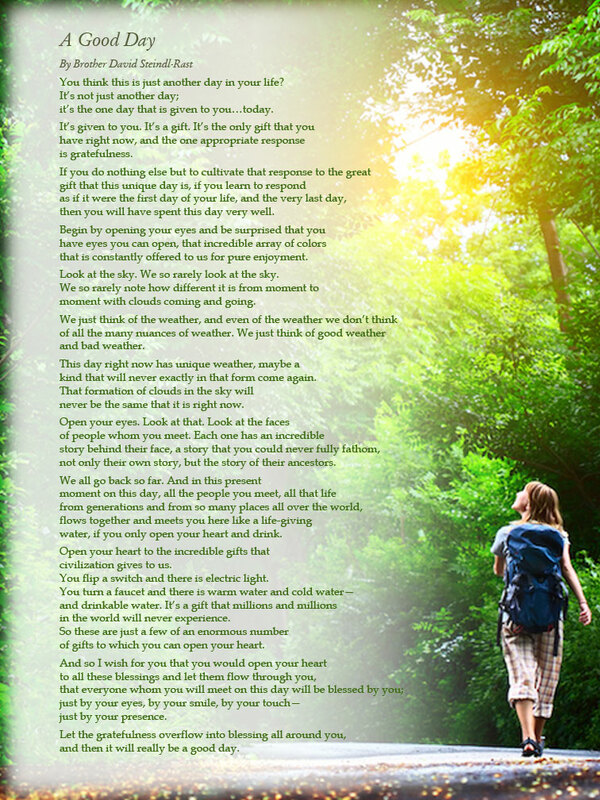 Writing for the parish bulletin encourages us to speak of our relationship with God. As in all relationships, one tends to be shy, because intimacy is much too personal. Yet here, in this bulletin, and because there are kindred spirits, there is a facility to share . It is a witnessing that is the natural evolution of the prayer. The spreading of the good news, so to speak. I will not tell you that all my prayers are answered. God’s ways are not man’s way. However, I will tell you with all truthfulness, that there is, in the center of my being, a calmness and a peace - a gift from the daily interaction with God. He says: “My peace I give you, my peace I offer unto you.” It comes from being unconditionally loved by this Father, benevolent, constant and present, in all the events of my life. I see Him in a beautifully painted canvas. I hear Him in a sharing from someone in our weekly support group. I smell Him in the wavy, shampooed hair of a granddaughter. I even taste Him in the daily meals prepared by my cook of 44 years! And most of all, I feel Him in the loving, caring touch of concern of my husband. So precious! This is an ever present God who speaks to me constantly in ordinary moments of my life. The practice of the Prayer of Silence, Centering Prayer, requires some degree of preparation and a high level of commitment. Once the commitment is made, the integrity flows. One cannot be false to the pledge, as this is so valuable, so precious, so intimate, so loving, between you and God. 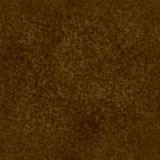 “Amen” is used in the Western religions to express profound faith, assent to Mystery, surrender to God. In the Christian tradition, “amen” is the one word that ends every prayer in words, including the Lord’s Prayer. Amen means, literally, “so be it” or “let it be.” After any petition or prayer, “amen” is the “so be it” or the “let it be” which releases that prayer or petition into God with a radical trust that nothing more needs to be said, nothing else needs to be done. With amen, your words and actions yield to God’s presence. Amen doesn’t mean being passive; it doesn’t mean that discipline, practice and compassionate actions aren’t necessary in the spiritual life. Amen doesn’t mean that you do not act in the face of injustice. Amen means that your prayer is a relationship with God rather than with yourself; it means that rather than trying to succeed through effort, you let the Spirit pray in you. Amen means trusting that you can’t confront injustice on your own, that at some point you need to let go of your own, self-initiated efforts and agenda and just be, in trust, in God. We need help to let the spirit of amen fully come forth in our prayer and in our life. The 2000-year-old Christian contemplative tradition recognizes that in order to radically trust in a reality that you cannot see, you need to prepare yourself through actions, disciplines, and practices whose purpose, quite simply, is to bring you more easily to amen. Centering Prayer is one such practice, a profound way of consenting to God’s presence and action within, beyond your own self-initiated efforts. Centering Prayer helps you consent to the gift of contemplation. In Centering Prayer, every time you return ever-so-gently to your sacred symbol when you are engaged with thoughts, you refine your own actions from self-effort into trust in God. Gentleness, trust, and lack of striving can inform more of your spiritual life. Willing to let every thought go, willing to let go of effort and strategies, your trust in God unfolds more easily within. Easily and lightly treat every thought as an invitation to rest in God. Learn to let these thoughts be, without fighting them. Let everything be, just as it is, in God. Say yes to practicing amen. As you continue on the path of Centering Prayer it is possible to learn how to be penetrated more deeply by amen. There are specific contemplative attitudes that, like the different facets of a brilliant diamond, comprise the “skillful means” of deepening contemplation. Practicing contemplation involves dispositions more than techniques, perspectives more than black-and-white directions. These contemplative attitudes evoke your own experience of God and invite you further on the path of transformation in Christ. Practicing these contemplative attitudes allows God — the reality in whom prayer and life is found—to become the source of what you do in Centering Prayer. As your prayer deepens these same attitudes will arise in your active life. When I provide spiritual direction or contemplative counseling, I find that my most effective “intervention” is not my words but my presence. Listening fully to someone means not trying to change them. You listen deeply and let their concerns, their “story,” be, in God. The mirror of your unconditional presence allows another person to settle into God. Transformative growth begins with acceptance. Unconditional love is rooted in unconditional presence. My presence to the Divine Presence, through which I am united in presence with another, is the best thing I can offer another person. When I was with my mother as she was in hospice care, I found that I couldn’t protect her from the transition that was before her. All I could do was be present to God, and to her, in her passage, in her own dying process. I practiced Centering Prayer next to her while she slept at night. During the day I allowed my breath to simply align with her breathing. Unconditional love does not mean that you are not concerned about the pain your loved one may be in. Unconditional love means that you trust, radically, that God is present to them, and to you. Being unconditionally present to another means accepting them for who they are, trusting that God is present to them. Love is a practice of amen. From the radical stance of amen, inspired action comes. Letting everything be, just as it is, in God, in the face of death, and life, is the gateway to experiencing the divine in ordinary as well as extraordinary circumstances. Consider your own life. Recall a time when you were blessed by the attitude of amen, a deep acceptance of what is. What happened? How might you be invited, now, to let go of your own isolated self-effort in favor of greater trust? In your prayer or in your daily activities, in your relationship with your loved ones, in your service, how might you practice amen, or unconditional presence, in order to experience that you are not alone, that God is with you in your being and in your doing? With the deep surrender of amen we are aligned with God — the source of freer and more sustained action — more than anything we could accomplish on our own. As we say “amen,” as we practice “so be it,” God takes over. As we practice amen, God is with us in more and more of what we do, including our care of others and our actions to confront injustice. Amen —“so be it,” “let it be”— expresses the true spirit of contemplation.